We have a wide range of groups and organisations in the life of St. Cuthbert’s. Following the links in the menu and the information below to find out more. 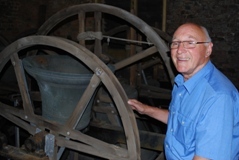 Bell Ringers – The bell tower at St Cuthbert’s contains 8 bells, five of the bells date back to 1857 and the remaining 3 to 1874. They we tuned and re hung with new fittings and framework in 1957 by the Whitecapel Bell Foundry, London. 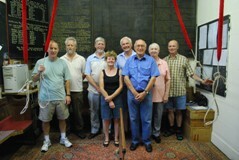 Bell ringers are in very short supply these days and we rely on several bell ringers from other churches in the area, including St John’s Lytham and St Joseph’s Roman Catholic Church, Ansdell. They start at 9am on Sundays at St Joseph’s, then move on to St Cuthberts for 9.30am and finish off at St John’s for 10am. 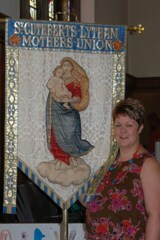 The Mothers’ Union – The branch of St Cuthbert’s Mothers’ Union was established in 1909, which continues to be a thriving branch with more than 70 members. They raise funds for many projects overseas in areas of poverty, HIV/Aids and malnutrition, as well as here at home with parenting classes, work in prisons etc. They aim to have an active role in the life of St. Cuthbert’s Church, many of the members are in the Pastoral Care Team, as well as supporting young families through the Bertie Bear Club for Toddlers and their parents or grandparents or carers on Wednesday mornings (term time only).